Speaking with Fox News on Sunday, House Intelligence Committee Chairman Devin Nunes (R-CA) has admonished Google and Twitter over anti-conservative censorship, saying they "should be reined in" and calling for a new search engine that doesn't censor conservatives. Last week Google was called out after a search result showed the word "Nazism" under the California Republican Party's ideology - while a search result for North Carolina GOP state senator Trudy Wade included a picture with the word "BIGOT" plastered across the bottom. Google explained the errors as "vandalism" - and that the search results are automatically populated by third-party sites across the internet. "We have systems in place that catch vandalism before it impacts search results, but occasionally errors get through, and that's what happened here," Google said in a statement. "This would have been fixed systematically once we processed the removal from Wikipedia, but when we noticed the vandalism we worked quickly to accelerate this process to remove the erroneous information." Meanwhile, Nunes has long criticized Twitter for censoring the Drudge report. 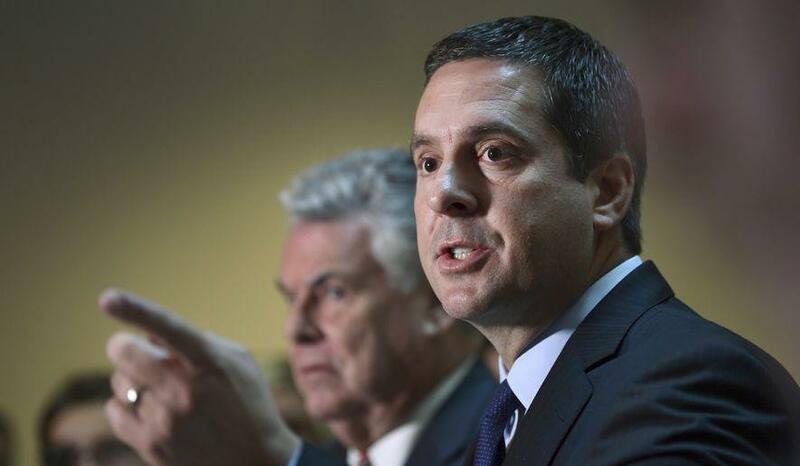 When asked what's going on with Nunes' access to the Drudge report from Twitter, a spokesman for the congressman told the Washington Examiner that he is receiving a message saying that the tweets are blocked due to potentially "sensitive content." While such warnings of "sensitive content" placed over tweets from Drudge Report can be bypassed by unchecking a box Twitter's "Privacy and Safety" section, the spokesman explained that the congressman is drawing attention to the extra hoop users are required to jump through to access the tweets. Nunes asked his Twitter followers in March to retweet his message about censorship if they had seen similar warning messages about the Drudge report - which received 13,000 retweets. Twitter Censors Drudge Tweet of Trump 2020 Slogan as ‘Sensitive Material’.